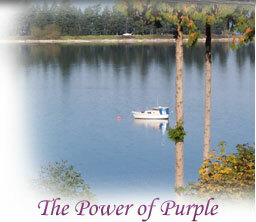 About Quadra Island, BC - All kind of info about Quadra Island and lots of useful links. About the Region - ...and how to get here. Regional District of Comox Strathcona Information on bylaws and the community plan for Quadra Island. IMap provides zoning information of properties. Residential Tenancy Branch - provides landlords and tenants with information and dispute resolution services. Real Estate Council of British Columbia - whose mandate is to protect the public interest by enforcing the licensing and licensee conduct requirements of the Real Estate Services Act. Financial Institutions Commission - an agency of the Provincial government, which administers 10 statutes providing regulatory rules for the protection of the public in the province of British Columbia. BC Climate Exchange - a one-year pilot program that provides financial and research support to 15 BC local governments to advance energy efficiency through local government policy instruments. Quadra Island Vacation Rentals Great info on Quadra and beautiful places to stay.